When a major international beer label wanted to launch a new brand, Celebrate Line helped create a custom bottle opener which was highly differentiated from the crowd. 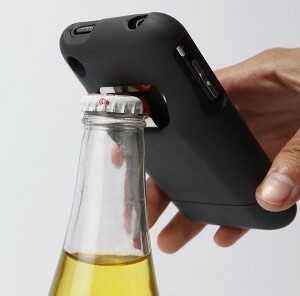 The result of the design and research process yielded a lightweight, magnetic bottle opener the size of a credit card. Not only was this mini refrigerator billboard good looking, it was priced about the same as the generic aluminum bottle openers given away by every major beer brand. 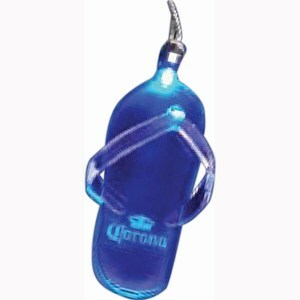 The program was such a great success that nearly ten million bottle openers were given away. When the ad agency for a Fortune 500 pharmaceutical company approached for ideas how to take their New Year’s party over the top, we accepted. 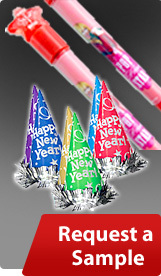 Sure, they could have gone down to the party store and bought generic Happy New Year’s hats. 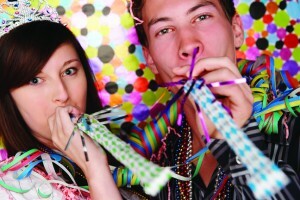 But for less money, we created an entire corporate branded New Year’s experience which helped boost company pride and enthusiasm. With millions of ad specialties on the market, it can be hard to find the next retail winner. A branding agency challenged us with the task of finding an inexpensive item that was not throw away junk. We scoured our international sources and found an unrelated item which could be modified to fit the need perfectly. The client pitched the idea to Walgreens and landed a large order. Not only was this order a victory in itself, but it represented the first time the branding agency received an order from Walgreens. Celebrate Line was happy to be a part of this first-time order from such a prestigious customer. As bowling centers struggle with declining revenues, savvy centers have added kid’s birthday parties as an additional profit center. 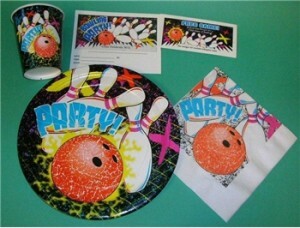 However, many bowling centers were throwing second-rate parties with generic paper plates, cups, and napkins. Chuckie Cheese throws an upscale, themed party. Bowling centers needed to match these upscale party experiences. Celebrate Line created a bowling themed graphic used on plates, cups, napkins, and table coverings. Now bowling centers have access to an upscale party experience at a lower cost than buying Dixie cups at Wal-Mart.